Includes bus, lite fare, and Champagne. 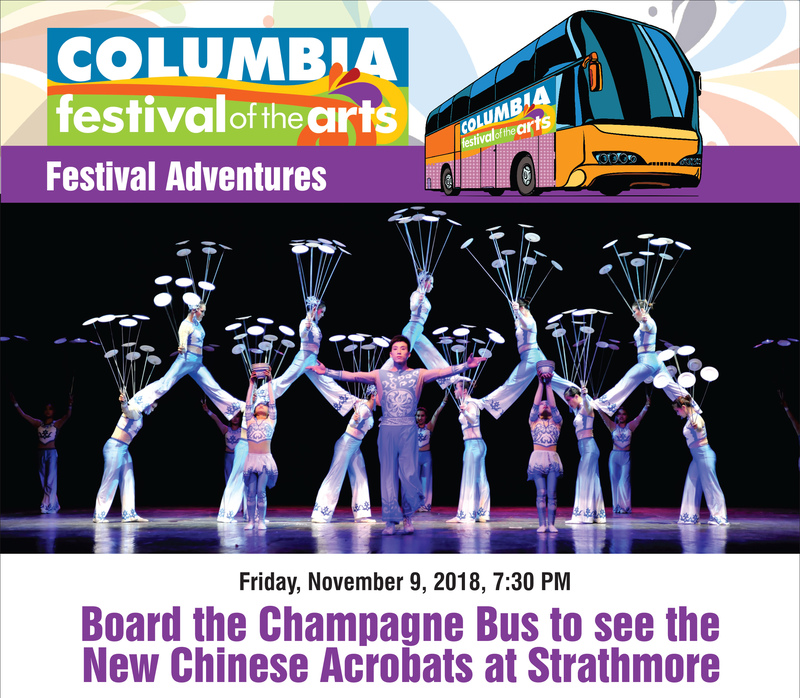 Bus departs from 5575 Sterrett Place, Columbia, MD 21044 at 6:00 p.m. Only 30 Seats Available. See stunning feats of strength and flexibility representing the evolution of Chinese acrobats. Mixtures of new techniques and ancient Chinese folk art tradition for one awe-inspiring act after another. Innovative stage design and gorgeous lighting. High-level acrobatic skills and all-around spectacle. Tickets: Orchestra $70, Promenade $65, Grand Tier $55.